Content: unique, accessible, optimised and awesome. 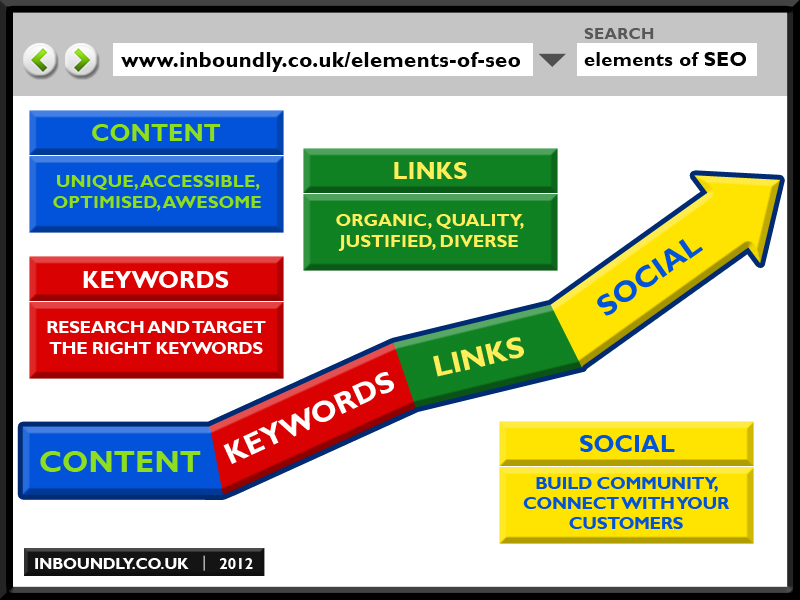 Keywords: research and target the right keywords. Links: organic, quality, justified, diverse. Social: build community, connect with your customers.